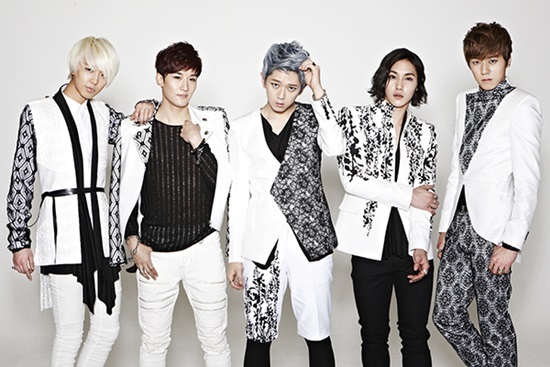 This week saw the release of Jackie Chan’s new boy group JJCC and also Super Junior M released a new single. Its an explosion of J this week and I couldn’t be happier. This is Jackie Chan’s first venture into his own boy group. From what I’ve read the best description for the JJCC name is “Jackie ‘Joint Culture’ Chan” Comprised of 4 Koreans and one Chinese Australian, this group can speak English, Korean and Chinese, which will be a big help as they promote in the various countries they will perform in. Their first video only shows the 4 Korean members because the Australian was scouted and joined later. Now I’m not a big fan of groups where rapping is the main vocal part. This is why I haven’t been able to get into bands such as BTS or BAP, but this song, while rapping all the verses and only singing the chorus has an appeal that I like. The mellowness of the song really allows the boys and their musicality to shine through. 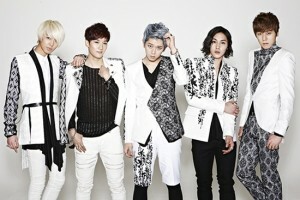 Here is a link to one of their debut stage performances for this song with all five members. 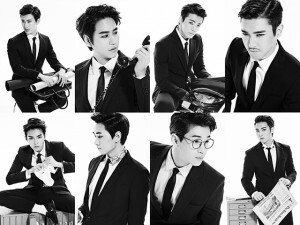 The popular sub group Super Junior M also released their new single Swing in China this week. I almost like the sub group better than the what the full group releases in Korean. Almost. Siwon has pretty much slayed the Latin fans with his mustache and calling for Maria. Why they use Maria for a name when this song is being released in China, I can’t quite figure out. I love the dancing. The song moves from fast to slow movements giving the song a fun life of its own. The lyrics are an excellent example of why I prefer Asian music. This song is about letting go of fear and dancing away your worries. Being willing to risk loving again and not hiding away. So often American songs are about how fast we can get you into bed, and don’t get me wrong, there are Korean songs that have the same meanings, but for the most part, the upbeat dance stuff is clean and positive. I really appreciate that.